The Human Cytokine 30-Plex Panel Kit consists of 3 independent 10-plex panels—Proinflammatory Panel 1 (human), Cytokine Panel 1 (human), and Chemokine Panel 1 (human)—that detect secreted biomarkers in a variety of tissues and body fluids. These panels are composed of assays against human cytokines and chemokines that are involved in process such as inflammation, the Th1/Th2 pathway, chemotaxis, the Th17 pathway, angiogenesis, and immune system regulation. These biomarkers are implicated in a number of disorders, including rheumatoid arthritis, Alzheimer’s disease, asthma, atherosclerosis, allergies, systemic lupus erythematosus, obesity, cancer, depression, multiple sclerosis, diabetes, psoriasis, and Crohn’s disease. As a result of their association with such a wide number of diseases, they are the subjects of drug discovery projects, diagnostics development, and basic research. The 30-plex panel can be initially used as a screening panel to identify relevant biomarkers that can then be assembled into a custom panel for long-term study. 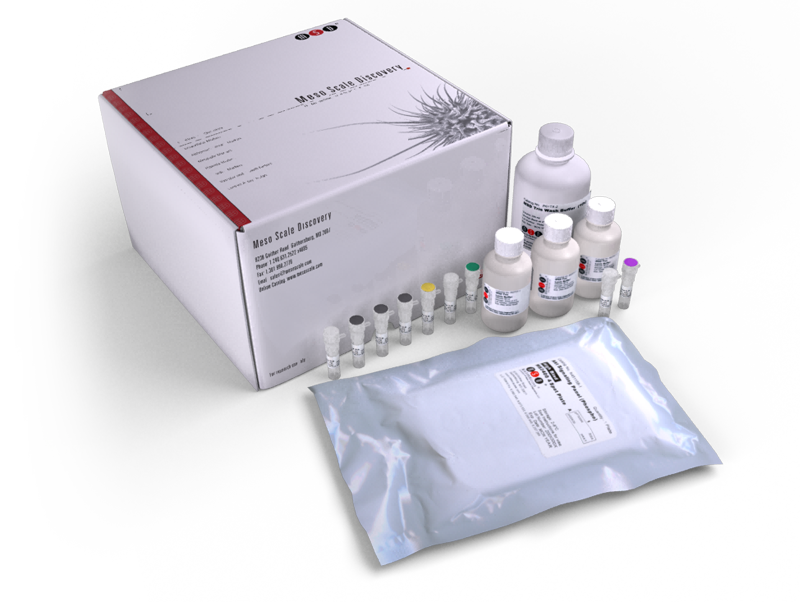 The Human Cytokine 30-Plex Panel Kit provides assay-specific components for the quantitative determination of 30 cytokines in human urine, serum, plasma, and cell culture supernatants.